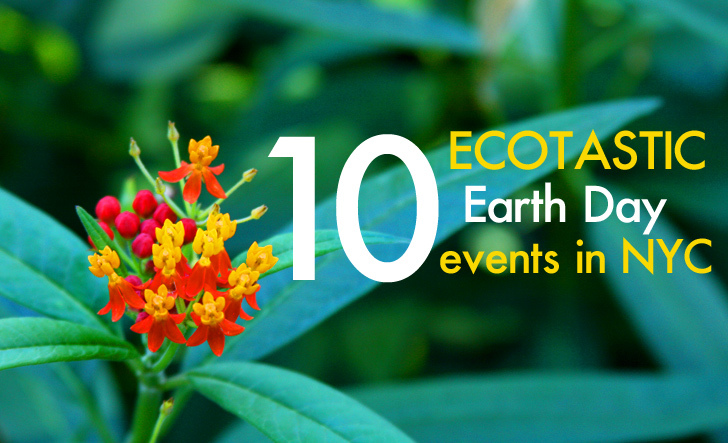 While we like to treat every day as Earth Day, the official eco holiday is this Sunday, April 22, and groups across the five boroughs are celebrating with a slew of special events. Whether you want to learn more about NYC's green groups at the massive annual Grand Central Earth Fair or spend some time giving back with New York Cares Day, we've rounded up the best events taking place this weekend. Click through to find out how you can celebrate Ma Earth with your fellow New Yorkers -- including a solar-powered rooftop film and a giant salad on the High Line!